It all started around the time when I was a moderator for Tweakcraft, a Minecraft server hosted by Erik Broes, a member of Tweakers.net community. Erik Broes is also knows as Grum, who actively worked on Bukkit’s development and is now working for Mojang (or should I write Microsoft?). I always had a fascination towards technology and IT in particular, but when I was active at Tweakers.net I learned a few things about server hosting, Minecraft and hMod. This curiosity lead me to try it out myself and I started off with a small dedicated server. In the beginning I mainly used it to mess around, and in order to get quick feedback I mostly ran the server in it’s offline mode, posting the ip pretty much everywhere. Obviously this lead to serious issues, as the result would be when you unleash a classroom of toddles in a supermarket full of toys without any supervision. Iteration after iteration it improved as I learned about permission managers, protection plugins, applying limits in order to keep the server running smoothly etc. I was active at minecraftforum.net where I kept looking for interesting groups or individuals with an awesome idea which deserved a chance, but didn’t had the organization and infrastructure required to get off the ground. I actually contacted Kane Hart, the owner and manager of Godcraft with an offer, but he didn’t respond so I just kept looking further. A few days later I stumbled upon an idea which was so crazy enough that just attempting it would be fun already. 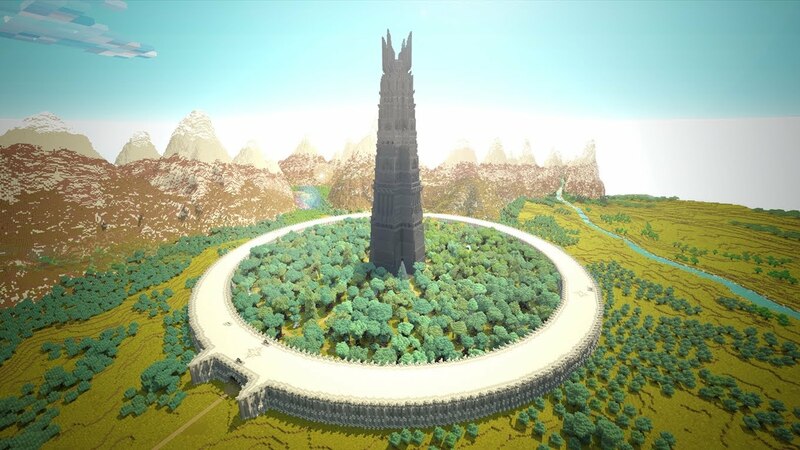 It was to create the world of Middle-Earth within Minecraft. I had the infrastructure, basic knowledge, connections and money to try and get a community going. Most people who were part of the ‘core’ back then, were people who showed great interest in the undertaking on the forums. It was a very diverse group, going from avid readers to ‘lore-nitpickers’, people who studied architecture, to enthusiasts alike. However before the actual server happened, there were a few things that almost lead to me abandoning the idea completely. The forum post with the idea was posted by Shorvok. I contacted him with my offer, explaining to him that I had everything necessary to make this happen and that I was very interested in starting a collaboration. However his account was hacked, and there was a second account with a very similar name who knew about my offer. I asked a moderator at minecraftforum.net to investigate, and both accounts were hacked at that time. I had to verify Shorvok’s identity through his manner of writing and choice of words to figure out if he was the person I first talked to or not. At one time I seemingly had contact with him and he gave me his Steam account to talk to him because he kept getting hacked. However this entire ordeal was reason enough for me to get suspicious and just shelf the entire thing and move on. But somehow, I didn’t. The first weeks and months were pretty hard. We hada website going and small ftp, managed by dux0r. Our first software packages were free forum solutions, in that time SMF. However dux0r quickly became inactive and unable to get in contact with. And the website eventually got defaced by the Syrian Electronic Army due to the outdated SMF installation. Due to these liabilities and other events that rendered control and sustainability of the project in danger, I had no choice but to actually do everything myself or with people who I could trust and knew were reliable. This is where meggawatts got in. Next Article Your privacy on Facebook and why you should protect it.